"What was your favorite Christmas gift you ever received?" How many times have I been asked this perennial ice-breaker of the season that feels both safe and on-point at the same time? I've never had a satisfactory answer, so I've always hated the question. I remember a fair number of gifts I was given in my childhood, but once I subtract all the ones that I was given on days other than that one day, the remainder can be counted on my fingers (my preferred method of doing math anyway.) When the qualifier of "favorite" is added to the equation, the number falls to zero. I just can't remember that many gifts. On the other hand, I have scores of Christmas moments that play in my memory in the soft tones of sepia. 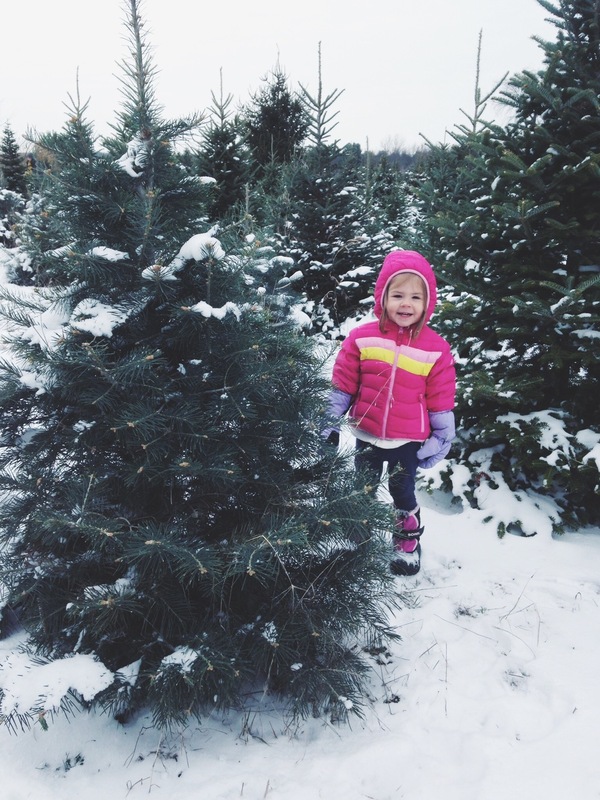 The day we skipped school—on what should have been a snow day anyway—to pick out our Christmas tree. The snow was heavy and deep as my family and I traipsed through the fields, and it incited us to snowball fights followed by cocoa in the barn as they baled our white pine, the variety my dad has always loved best. Sitting beside the fire in the family room feeding album after album to the record player in the corner, the music of choirs, and orchestras, and the Chipmunks filling our home with Christmas cheer. Painstakingly weaving together ribbons of red and white peppermint-flavored cookie dough into the shapes of candy canes so that Santa and all the Benoits could enjoy the memories that float back only when beckoned by taste and smell. Sitting in the pew on Christmas Eve singing songs… filled with words… about a story… that made my head spin. And Christmas mornings with my family and aunts and uncles and cousins and friends-who-are-family in a circle that pressed against every wall of the room, a sea of humanity and joviality among waves of piled presents. So there were presents. Lots of them. The gifts just aren't what I remember best. I remember moments: the feelings, the people, and most of all, the traditions. My mom and dad were great keepers of traditions. I know this now that I have children of my own because I've learned that keeping traditions does not happen by accident. Traditions are chosen and they are kept with diligence. Rarely are traditions easy or natural, and they are never found in the shortest distance between A and B. Now and then a tradition may be something we've stumbled into, but even then we must have the presence of mind to recognize what's begun and the determination to carry it forward. Likewise, I believe that childhood itself is not something that happens by accident. Part of the job of being a parent, I think, is to cultivate and protect childhood, and one of our tools is tradition. We are Memory Makers, and we wield a magic wand of… well… magic. Because what else can we call what happens when we invoke a moment and a whole host of wonder, and laughter, and joy come galloping on, the cavalry of Christmas past? I want my children to remember so much more than presents. I want them to remember their Christmases and their whole childhoods as peace met with wonder and mystery because that's what I believe God meant for all of life to be. A few weeks ago, Karen and I had the chance to make a new tradition with our family, though in one sense, we were reviving a tradition. 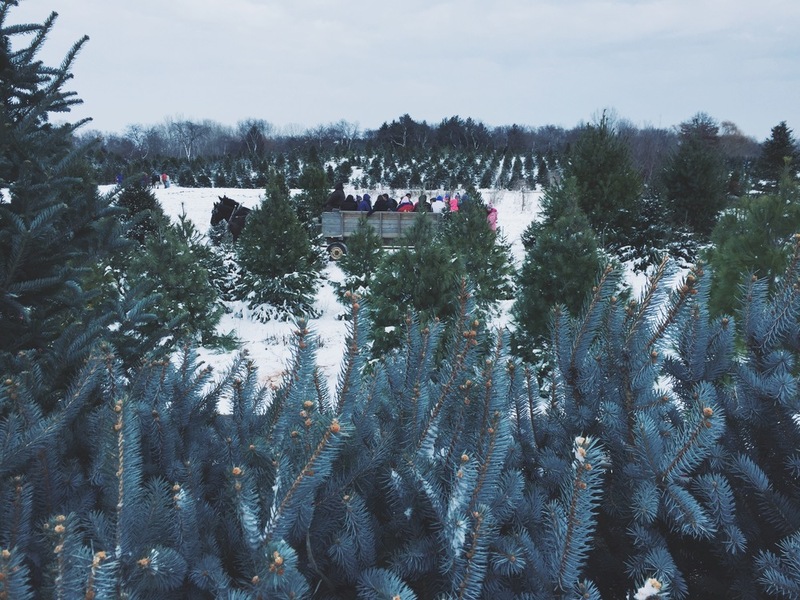 Growing up, my family and I always went out to a farm in the country to cut down our own Christmas tree. As one of my favorite childhood memories, I'd always dreamed of continuing this tradition with my own kids, but since the experience lacked some of its Currier and Ives charm in the arid climate of southern California we'd set the idea aside. But this year, on the snowy day after Thanksgiving, we traipsed out to a farm about forty-five minutes away and began a new tradition. What made the day even more special was that we were able to share it with the ones who had taught it to me, my mom and dad. I was reminded again that traditions require a little fortitude. There's no arguing the fact that hunting for a pine in the frigid cold and cutting it down yourself is not the most expedient method for finding a Christmas tree, but the horse-drawn wagon, the most perfect tree there ever was, and the sheer joy on the faces of my kids as they dashed through the snow assured me that the work was well worth it. Sometimes the only way we get things done is because we have to; not because we're told we have to, we just have to. 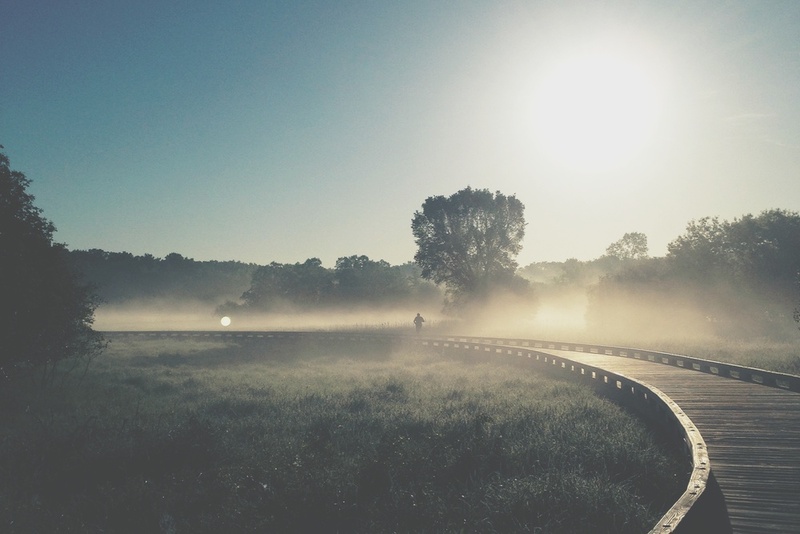 We put it off—whatever the it may be—for as long as we can until we can no longer. The pressure is too much, and the dam bursts. Even then, though, I don't always find that the water rushes. I have this vision of the dam crumbling and the water gushing into every bit of the low lying land. It doesn't happen that way very often. Usually, the dam bursts as a little chunk here and a little crack there. The water spurts out in comical sprays, like when you put your thumb over the end of a garden hose. And these are the hardest kinds of ideas to wrangle. You're running half-crazed trying to make sense of why things are leaking here and spraying over there without the percipience to grasp that there is a titanic body of water waiting to break through what you once dismissed as a lovely little retaining wall. This is the work we have to do because we're about to be swallowed up in it anyway. This spoken word was one that had been writing itself in my circumstances and weaving itself in my deepest places for quite some time, but directing all that water into the neat rivers and ravines of sentences and rhymes was hard. Hard in a lot of ways. Note: It's in a couple pieces mixed in with the song.